Garage conversions are becoming an increasingly popular choice for rejuvenating your home in 2016, as doing this adds value to your home many people are beginning to stand out from the crowd and are designing their Garage Conversion to really suit their home. In this week’s article, we have created a ‘Garage Conversion Guide for 2016’ discussing popular designs and why more and more people are investing in this project for their home. There are two main Garage Conversions in Milton Keynes out there, take a look below to find out what are they. Attached is quite simple, this type of Garage Conversion is usually attached to the side of the house, normally facing on the front side with a roof covering the top. 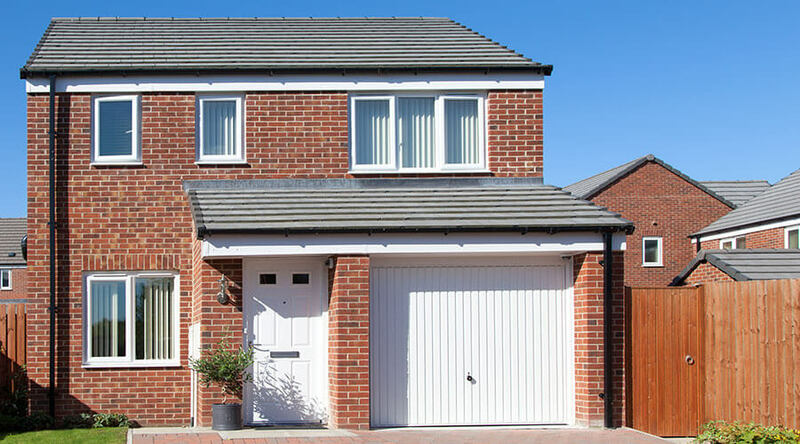 Usually downstairs Bedrooms are a popular choice for converting this type of Garage. Nowadays there are more and more Garages being built detached from the home, this does not normally inconvenience you in anyway if you wish to get your Garage converted. At Click Glazing we suggest you seeking planning permission before you get started with any construction work. So, what’s So Good about a Garage Conversion? We slightly covered one of the main reasons above as to why Garage Conversions are becoming an increasingly popular choice for restyling your home, take a look below at a few more detailed reasons. Like we mentioned above, deciding to invest in getting your Garage converted completely adds value to your home. If you just had an unused and useless space beforehand. You have the opportunity to transform your Garage into whatever you want it to be. Creating this added extra room to your home, improves its quality and house value. Another popular reason as to why more and more people are deciding to get their Garage converted is because they can make it their own. What we mean by this is, whether you are in need of a downstairs Bathroom or Bedroom, you can add your personal touch and style to really make it the design you crave to suit the home. The last of many reasons we came up with as a team is the fact that getting a Garage conversion is a fantastic investment for the future. Although it may seem like a never ending and costly job at the time. You only have to think about the end goal, you can use this space for entertainment, for selling purposes or even something for your children to enjoy. We hope that this Garage Conversion Guide really helps you in the process of getting a Garage Conversion, if you would like any further information on this type of service. Please feel free to get in contact with our office team today.